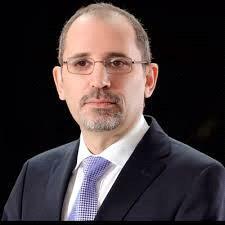 AMMONNEWS - Foreign Minister Ayman Safadi and his Russian counterpart Sergei Lavrov spoke by phone late Sunday and discussed the developments in the Middle East, particularly endeavors aimed at realizing a political solution to the crisis besetting the Arab neighboring country Syria. The top diplomats echoed the call for sustained cooperation and coordination in a bid to resolve the Syrian conflict on the basis of the UN Security Council Resolution 2254. They also spoke about the ongoing Syrian refugees crisis and reemphasized the importance of voluntary repatriation of the refugees to their homeland. In addition to Syria, Safadi and Lavrov discussed efforts to help break the impasse in the Palestinian-Israeli conflict based on the two-state solution. Both ministers also voiced eagerness to take the Jordanian-Russian bilateral relations to higher levels, built on mutual confidence and trust by His Majesty King Abdullah II and President Vladimir Putin.